Tabouli is one of those recipes that I’ve found is easy to do poorly. My first introduction was at a fairly early age from a health food store. The proportions were: 90% bulgur, 9% tomatoes/cucumbers, and 1% herbs. To me, the grain isn’t the most exciting part of the recipe, it’s the herbs which I only realized after having a stellar, herb-forward version a few years back. 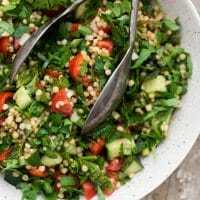 This sorghum tabouli is my version that I make quite often during the summer. I like using sorghum for it’s hearty, chewy texture. It’s quite a bit different from the traditional bulgur but it’s a good introduction if you have never tried cooking with the grain. 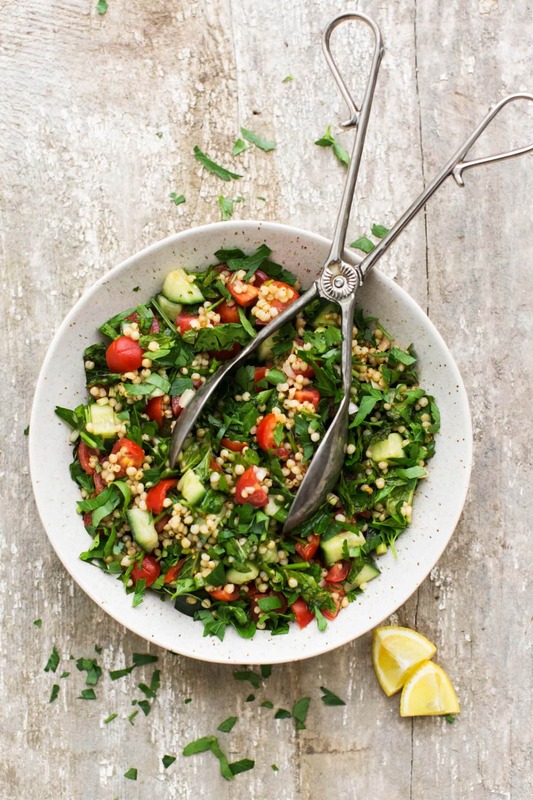 A gluten-free take on traditional tabouli using chewy sorghum and fresh summer tomatoes and cucumbers. To start, prepare the produce by chopping the parsley, mint, and scallions. Add to a bowl along with the garlic then cut the cucumber into 1/4″ to 1/2″ cubes and quarter the grape tomatoes. Add to the bowl along with the cooked sorghum. Measure in the olive oil, lemon juice, 1/4 teaspoon salt, and pepper. Toss until everything is well combined, taste, and add more salt as needed. 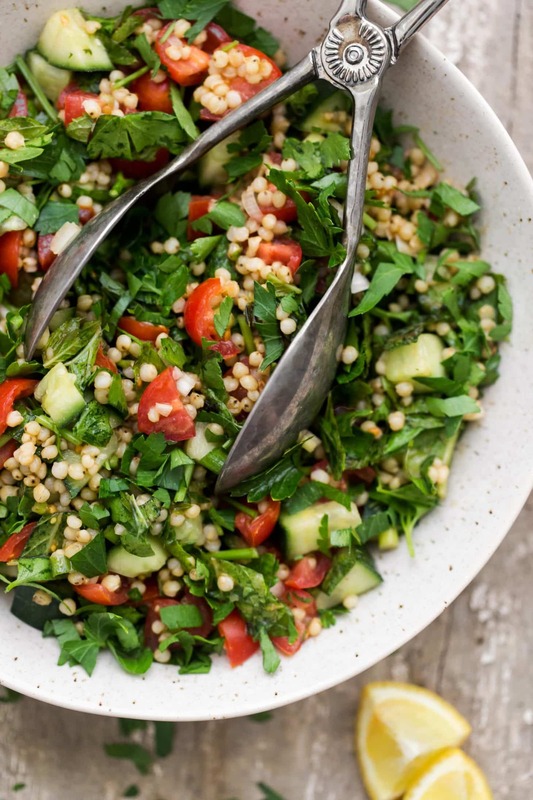 Tips & Tricks: Cook the sorghum ahead of time to make the prep of this salad easy. Also, the salad taste better after letting sit for an hour or more. 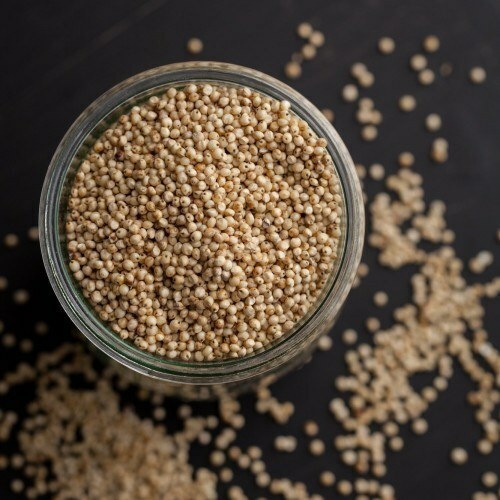 Grains: You can switch back to the classic grain (bulgur) or try this tabouli with freekeh or quinoa (a couple other quick-cooking favorites). Tomatoes: I use a lot of grape tomatoes during the summer months because it’s typically what I grow. Cherry tomatoes work well but I also like a fresh paste tomato diced in this salad. As mentioned above, I like sorghum for it’s hearty, chewy texture. It reminds me slightly of the texture you get with wheat berries but even slightly chewier. It’s longer on the cooking time but I usually toss a pot on the stove and forget about it for about an hour. In need of sorghum? You can pick it up here. The last picture looks so colorful and delicious but we dont get sorghum where we stay. So we can make it without the sorghum? There’s a few suggestions in the variations area! 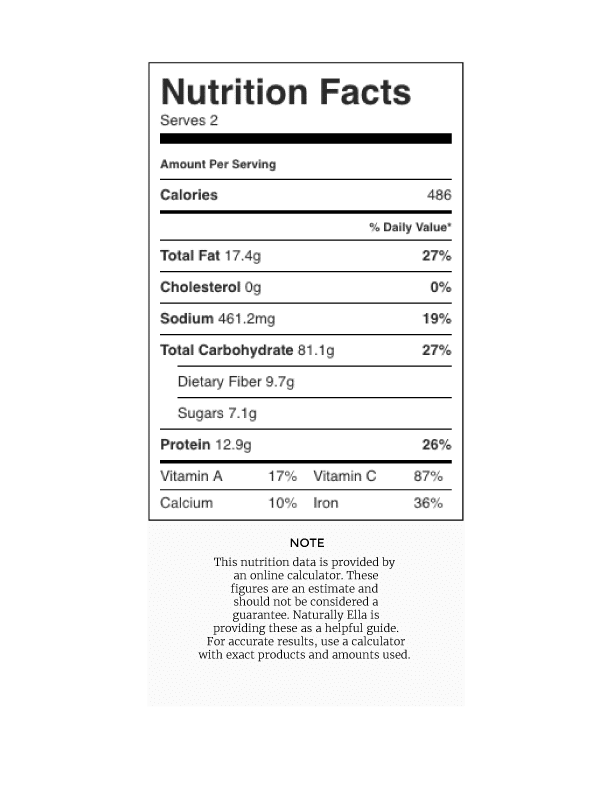 Does the Red Hill sorghum pop like popcorn? When I was a kid we would get it out of the field just before harvest and pop it like popcorn? It does! Such a neat thing about sorghum.